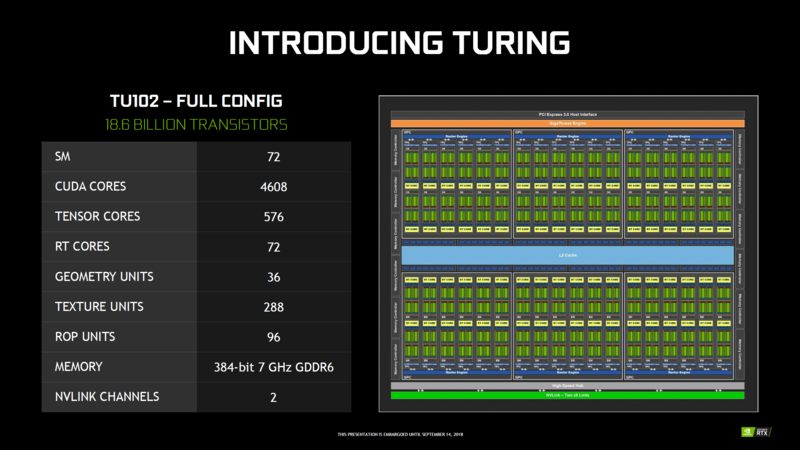 It looks like NVIDIA’s yet to be released Titan graphics card based on the Turing GPU architecture has been allegedly pictured. The card which was pictured within a PC, built by, Gavin Free, one of the creators of The Slow Mo Guys on YouTube. Update: The card is, in fact, real and is coming really soon since it is being teased by a lot of YouTubers and key personalities on Twitter. 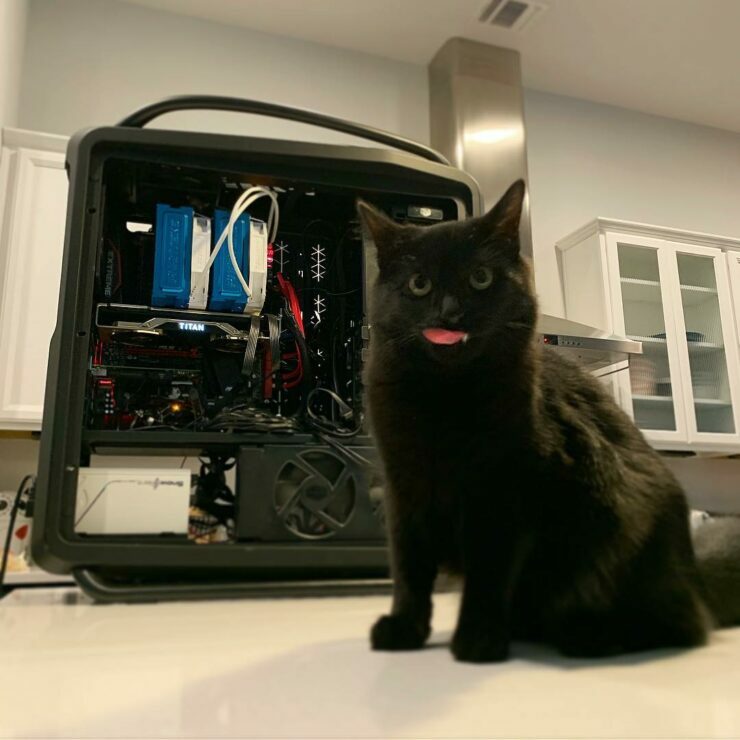 The Titan RTX may not be a card that will be designed with only gaming in mind but would have other purposes such as content creation, AI/DN learning and more, all at a hefty price point. Now the text alongside the picture reads that the PC, particularly the GPU (graphics card) has been upgraded. We can tell from the picture which graphics card has the PC been upgraded with as it clearly reads TITAN. Now being a top-tier YouTube creator, it’s easy to tell why Gavin got this card as NVIDIA has previously sent out unreleased Quadro graphics cards to content creators. Take for instance the Quadro M6000 which was pictured and posted by Deadmau5 on his Instagram a few years back prior to its launch. Also its worth noting that the previous Titan class graphics card, the Titan V, was pictured and leaked within a PC by an intern at NVIDIA. The Titan V launched in December which was months after the leak which happened in May 2017. Now, we have another Titan graphics card that has allegedly been pictured. There are a few noteworthy things about this card. First is that it is using a similar cooler shroud as the GeForce RTX 20 series graphics cards. The shroud looks shinier but that may just be the angle we are looking the card at as the picture isn’t very clear. In the latest clear shots of the card, we can also see a gold colored shroud which is similar in color to the Titan V shroud we have seen before. 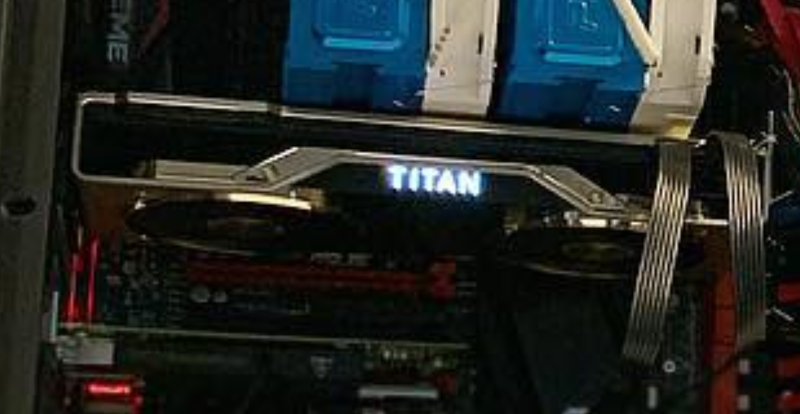 The card also makes use of two eight-pin power connectors and we can see the TITAN logo on the side has blue LEDs instead of the Green ones featured on the GeForce RTX 20 series cards. The card is also missing the GeForce branding which is something we should expect from the TITAN series about now. NVIDIA may use known content creators to hype up their upcoming graphics card. It is a really good idea if you think from a marketing perspective but here’s the thing. We don’t know if this really is the Titan RTX card that we are waiting for. It could very well be a modded shroud that seems highly plausible but considering the person who got this and the state of his PC, a modded card doesn’t seem like a matching flavor. But then again, I can’t really say much right now unless we get more details. For specifications, NVIDIA has their Quadro RTX 8000 series cards with more cores and memory compared to their flagship RTX 2080 Ti graphics card. 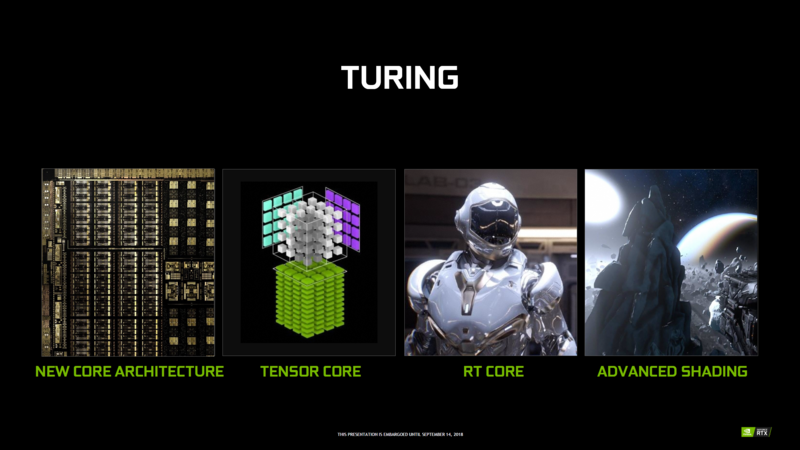 The card rocks the full Turing TU102 GPU with 4608 CUDA cores, 576 Tensor Cores, up to 48 GB of GDDR6 memory and up to 10 Gigarays worth of Raytracing performance. GPU Core GK110 GK110 GM200 GP102 GP102 GV100 TU102? Launch Year 2013 2014 2015 2016 2017 2017 2018? That card costs $10,000 US so a Titan would definitely cost less considering we will see slightly lower VRAM to conserve costs. But still, considering the prices of consumer graphics RTX cards, a prosumer aimed Titan with Turing GPU would cost around $3000 US, the same price as the Titan V.
Do you think NVIDIA is ready to launch the next Titan graphics card?